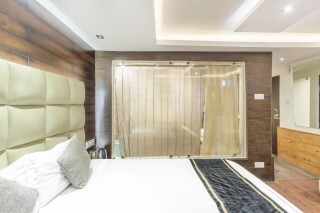 This is an offering of a private room in a plush boutique stay, located at a distance of 2.5 km from Mall Road. 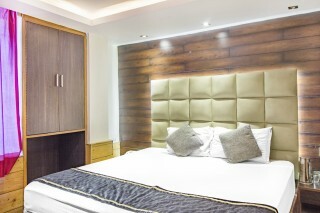 The room on offer can accommodate up to three people and is ideal for leisure travellers. 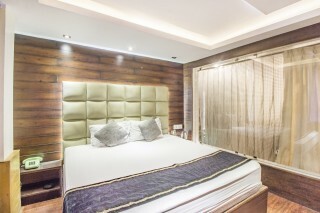 The accommodation is stylishly furnished to ensure that you have a delightful stay experience. Your Space The property is located right by the main road, making it easily accessible. It boasts a wood-and-stone façade, and is surrounded by lush foliage that add a rather pastoral vibe to the property. The sitting area flaunts partial grey flagstone walls with wood-panelled flooring, and complemented by plush grey couches centred around a coffee table for convenience. The dining area boasts wood-panelled flooring and ceiling, and has ample seating to make mealtimes more convenient. Large windows brighten up the space and add a cheerful charm to the boutique stay. The room on offer flaunts wood-panelled walls and ceiling, thereby making the space more cosy and warm. 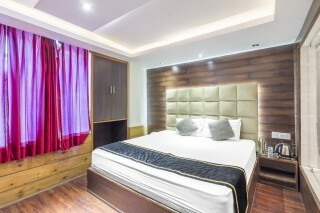 The room is furnished with a comfy double bed with a plush headboard and bedside cabinets for convenience. A compact wardrobe and a couple of contemporary chairs with a coffee table are also present for added convenience. The en suite bathroom is well appointed with modern sanitary ware. Guest Access Feel free to access the common sitting area and dining room when you are not in your room. Guest Interaction Feel free to reach out to the staff at the front desk in case you need any assistance. Neighbourhood Overview The property is located on a quiet street close to Mall Road (2.5 km) and boasts a serene view of the hills nearby. Christ Church is about 7 km away. Getting Around Chandigarh Airport is about 123 km away. The Old Bus Stand is about 1 km away, and the New Bus Stand is 5 km away. The railway station is 700 m away. A taxi service is available on chargeable basis. Additional Information Guests are requested to provide valid ID proof at the time of check-in. We request guests not to play loud music in the property. We regret any inconvenience this may cause. Travel assistance is available. Car/bike rental is available. Pick up and drop off on request. Places to visit: Christ Church - 1.4 km approx. The Mall - 750 m. approx. 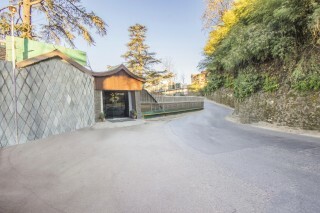 Jakhu Temple - 6 km. approx. The Ridge - 1.9 km. approx. Shimla State Museum - 2 km. approx. Tara Devi Temple - 6.2 km. approx. Kali Bari Temple - 500 m approx. mushy mattress and spacious room! rock on! Shimla Old Railway Station - 1.4 km. 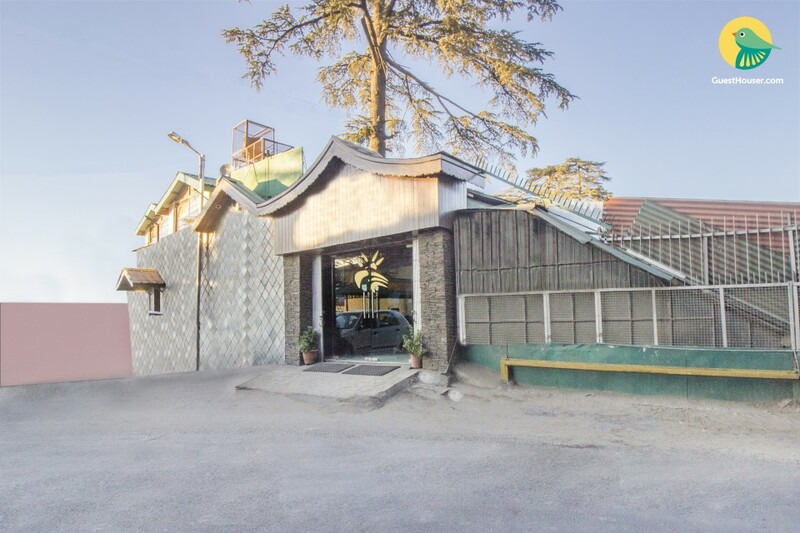 Shimla Airport - 20.3 km. Tarahall Bus Stop - 99 M. Shimla Old Bus stand - 1.6 km.